 How do I register to bid?  How can I get a copy of the Contract for Sale for the property I am bidding on?  Can I bid on more than one property?  What is the deposit required if I am the successful bidder?  How do I place a bid?  Can I retract a bid once it is made?  How will I know if the Reserve has been met?  Can I communicate with the Agent/Agency during the Auction?  Can the property owner place a bid?  What happens if there is any disruption to or breakdown of my internet connection during the Auction?  What happens if I am outbid in the last second/s of an Online Auction?  What happens if the property is passed in? i.e. does not meet the reserve price.  What happens if I am the successful bidder?  How do I pay the deposit if I am the successful bidder?  What if I can’t make it to Grandland Real Estate to sign the Contract for Sale?  I am interested in selling my property on Grandland Auctions Online. How can I organise this? You will need to head to Grandland Real Estate’s office to complete your Bidder’s Registration. A copy of the Contract for Sale can be obtained from Grandland Real Estate's office. Yes you can. For land releases you will be registered to bid on all available blocks being auctioned for that release. However, in regards to individual properties, you must be registered to bid for each separate property in order to bid on it. The required deposit to purchase a property can be found on the property listing page underneath the main image on Grandland Auctions Online. Please note: Standard Auction Terms and Conditions requires a 10% Deposit to exchange Contracts. On the property listing page, you will be able to place a bid by entering the bid in which you wish to place. The Current Bid will be displayed as well as the Minimum Bid Increment. The bid in which you place must follow the minimum bid guidelines. For example, if the Current Bid is $500,000.00 and the Minimum Bid Increment is $1,000.00, then your bid must be $501,000.00 or above. A dialogue will then appear asking you to enter your PIN, accept our Terms and Conditions and to confirm your bid. By accepting and confirming your bid, you are confirming your bid amount and are accepting that this bid cannot be retracted. No, a bid cannot be retracted after you have confirmed it and it is has been logged into our system. When placing a bid, you are required to accept our Terms and Conditions, one of which states that you cannot retract a bid once it has been made. The property listing page on Grandland Auctions Online will clearly outline when the Reserve has been reached. When a Reserve has been met, all registered bidders will also be notified of this via email. In some instances the Reserve will be clearly displayed prior to the Auction commencing.  Can I speak with the Agent/Agency during the Auction? Yes you can communicate with Agent/Agency during the Auction. You may call during business hours, or email at any time during the Auction. During this time, the Agent/Agency will be able to respond to any queries you may have.  Can the owner of the property place a bid? Yes, this is called a Vendor Bid. Under the Auction legislation and Terms and Conditions, there can only be one Vendor Bid made and this will be clearly displayed and indicated as a Vendor Bid. It is clearly outlined in our Auction Terms and Conditions that we, Grandland Real Estate, do not take any responsibility in the unlikely event where your computer may freeze or internet connection is disrupted during the Auction process. If a bid is made within the last five (5) minutes of an Online Auction, then the timer is restarted to allow for an extension to the auction of a further five (5) minutes each time. This process will continue if bids are made in the final five (5) minutes of the auction until the final five (5) minute clock counts down to zero. Upon the reserve being met and the completion of the auction, the successful bidder number will be displayed along with the sale price. If the property is passed in on Grandland Auctions Online, then the highest bidder will then have one (1) hour from conclusion of the auction to negotiate further with the Agent and Vendor. If an agreement has not been met within this timeframe, the Agent will then have the authority to negotiate further with any other registered bidders as well as any new parties that propose interest. Upon the Reserve being met and the completion of the Auction, a SOLD Banner will appear indicating the successful bidders number and the sale price. If you are the successful bidder, a banner will appear indicating that you are the successful purchaser, to check your email and that we will be in touch shortly”. An email will be sent to your registered email and our office will then be contacting you by phone to inform you of the next steps which will be required. If you are the successful bidder, you will be required to pay the set deposit in order to exchange Contracts. This deposit will be needed to be paid by you, by way of Electronic Transfer (if you have your daily transfer limit increased) or cheque, in the favour of Grandland Real Estate. If paying by EFT, you will need to provide Grandland Real Estate with a copy of the confirmation of transfer. This will need to be paid to Grandland Real Estate immediately after the completion of the Auction. 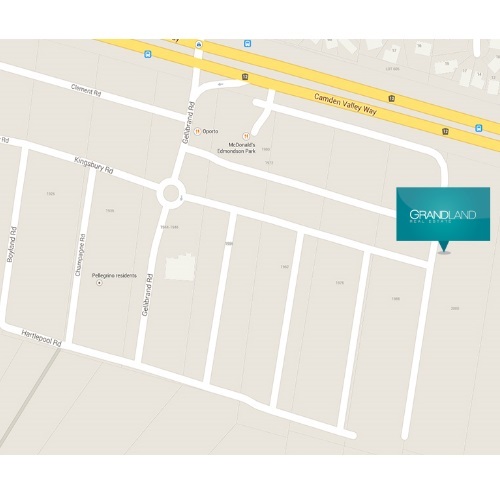 You can discuss this at any time with our office by calling 0409 460 453 or sending an email to mail@grandland.com.au. If you cannot make it to our office by 5:00 pm on the day of the completion of the Auction to sign the Contract for Sale, as per our Terms and Conditions, you are then providing the Agent from Grandland Real Estate with the authority to sign the Contract on your behalf and officially exchange them which is then legally binding. Please note: By being the successful purchaser of a property you are legally bound to the Auction Terms and Conditions, any failure to continue with the purchase of the property or to pay the required deposit will be seen as a breach of the Auction Terms and Conditions and will result in legal consequences. If you are interested in selling your property on Grandland Auctions Online, please contact Grandland Real Estate on 0409 460 453 or mail@grandland.com.au. We would be happy to discuss current market conditions and the best sale method for your property. Our motto is INTEGRITY . KNOWLEDGE . RELIABILITY . We believe this is what sets us apart to deliver our clients the Grandland difference.